Nintendo’s Labo snags some recognition as a toy. Nintendo’s Labo isn’t a very good video game – honestly, I think it is barely a game to begin with. What it is, however, is a great toy, a great arts, crafts, and science DIY project for kids, and just a very cool application of the unusual tech crammed into Nintendo’s newest system. 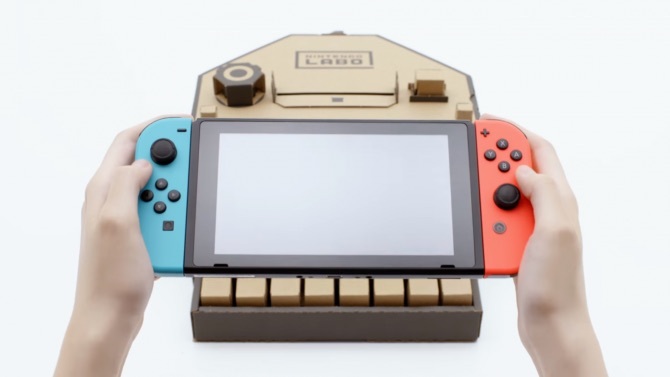 Apparently, its merits as a toy are agreed upon by many, because Nintendo Labo Variety Kit has been nominated for Toy of the Year in the Netherlands, as Nintendo Netherlands’ Twitter page announced. (later translated by Twitter user NintenDaan). The nomination is specifically for the 10-11 year old age group category, and, as I am sure you have noticed, is for the Variety Kit. The Variety Kit was one of the two Labo kits available at launch, featuring a variety (heh) of projects, such as the piano, the motorbike, and the fishing rod. That’s the more popular and successful one, so it makes sense that it is also the one that has been picked up on here. Whether or not it wins, at least Nintendo can be assured that their wild experiment caught some eyes, if nothing else.